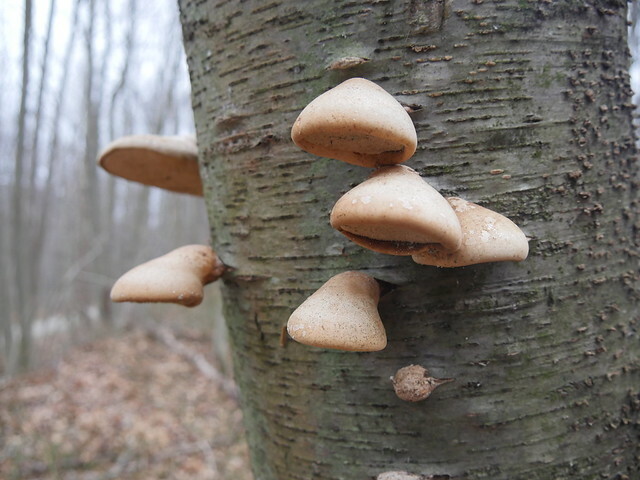 On December 21, 2015 while on a Mushing adventure of the GAP Trail in the area of Ohiopyle, Pennsylvania the WooFDriver noticed these mushrooms growing on a tree. Pleurotus Mushrooms are a genus of gilled mushrooms that grow on trees. They are found in diverse climates throughout the world and can be found on both hardwood and conifer trees. These mushroom caps can be attached to trees without stems. Enjoy the photos of the mushrooms found on a couple different adventures! Here is video footage of the tree!